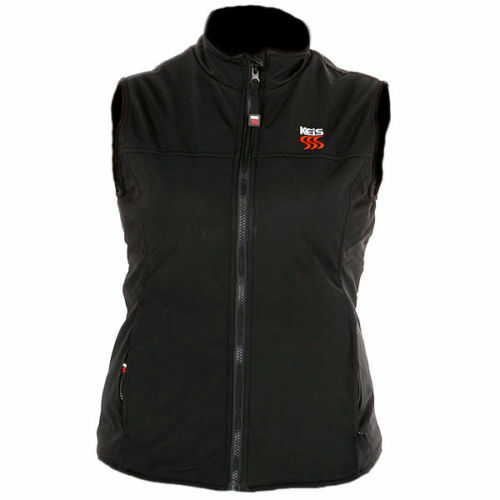 The new X30 Ladies Bodywarmer is specially designed to provide a more flattering fit than the unisex X10 and benefits from a high collar, for increased coverage, although the collar is not heated. Dedicated zipped pockets for cables and controller (not included) to keep things tidy and easy to find. Strategically positioned heat panels for maximum effect. Designed specifically for motorcyclists, KEiS use the latest Micro Alloy Fibre technology to provide reliable, uniform heating. The advanced heating elements offer much more consistent temperature than traditional wired systems. Incorporated into key areas, they help regulate body temperature, keeping the wearer comfortable and free to focus on the road. They’re also easy to care for; simply remove controllers and accessory leads and hand wash to refresh. Lightweight, breathable and flexible, KEiS jackets, body warmers and trousers can be worn comfortably under riding kit, keeping the wearer warm without the need for multiple layers. They can be linked together and controlled individually, for a complete body heating system. All KEiS garments come complete with a fused supply lead, so they can be connected to a 12v vehicle battery. In addition, KEiS ‘Dual Power’ products can also be powered using rechargeable Li-Ion Battery Packs. 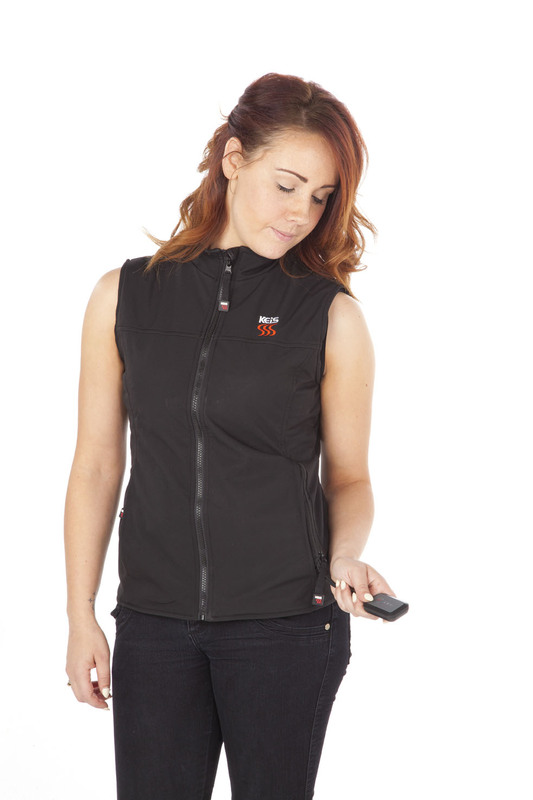 KEiS have released a new version of their body warmer this autumn (as well as matching gloves, trousers and jacket) and are officially the UK’s best selling brand of heated clothing and it’s easy to see why. The body warmer feels very thin, light, flexible and is finished to a high standard, it is even washable. You can wire it direct to your battery or choose to use a portable battery pack (not included), the choice is yours. With the rest of the KEiS range (and maybe with the addition of a trickle charger) your battery could soon become very busy so we would prefer to use the power pack but, wisely, everyone is different and KEiS have left it to the consumer to decide the best solution for them. The body warmer is very easy to wire up to your battery and use within minutes, just don’t forget to unplug it when dismounting your bike! The cold can be bitter when out riding in the UK and there’s only so much you can do to keep warm, wearing a heated body warmer does help, although the mind then focuses on other parts of the body without similar protection, namely feet, hands and arms! For full specifications and to view the complete KEIS range visit www.keisapparel.co.uk.